Thank you for your interest in becoming and advertiser/sponsor on Cre8tion Crochet. 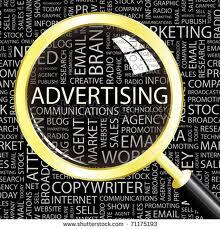 Advertising is a necessary and important tool to bring more attention and traffic to your blog or business. Cre8tion Crochet is growing in leaps and bounds and generates a good amount of traffic to its sponsors (specific numbers available upon request, I have a complete open door policy). Here is some helpful information about site stats. For more information please contact me at cre8tion@ymail.com. I look forward to hearing from you soon! When I decided to advertise my handmade yarn bowls with Cre8tion Crochet I had no idea what an impact it would have on my business! After only 3 months of being affiliated with them my exposure, customer base and orders have more than doubled! I look forward to continuing to work and grow with them! To request stats for any month please email me at cre8tion@ymail.com and I will be happy to provide them for you. All ads are created using your button/images that you will provide to Cre8tion Crochet. If you do not have an ad, we can make one for you. There will be a one time $10 charge. If you provide ad, there is an additional one time $10 fee if I design the ad for you. You will have final approval of ad. Blog post about your product. Review and Giveaway are recommended for best results. Price is for if you provide ad. there is an additional one time $10 fee if I design the ad for you. You will have final approval of ad. I am always on the lookout to gain more exposure, as is everyone in the crochet/blogging industry. I would love to work together with guest blogging spots, giveaways, charitable events and more. I am open to any offer than can benefit us both. I often feature giveaways as fb incentives on both my fb page and on the blog. Some previous giveaways have been hand crafted yarn bowls from Mudcrush Pottery, custom handspun yarn from Spinning Wheel Studio, hand crafted crochet hooks from Craftwich Creations. These giveaways are a great way to drive traffic to your fb page, etsy page, blog or website. They can be done in barter for ad space or as a joint giveaway. Contact us through email at cre8tion@ymail.com for any questions or more information!